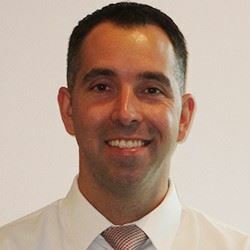 Joseph Dussault, PE, CEM, CBCP, LEED AP is a Project Manager at Bard, Rao, + Athanas Consulting Engineers, LLC and has been in the industry since 2006. He graduated from the University of Massachusetts Lowell with a Bachelors in Mechanical Engineering in 2007, earned his LEED Accreditation in 2008, and became a licensed Professional Engineer (Mechanical) in 2013. Joseph joined ASHRAE in 2007 and has served been an active member of the Boston YEA chapter, and has also served on the Sustainability Committee.